The Ford Fiesta has topped the UK car registration charts for nine years on the trot, becoming part of the British landscape in recent years. In fact, Ford registered more than 94,000 Fiestas in 2017, and that’s even as a new model was introduced and the previous Fiesta was phased out. I'd call that pretty good going. That success is brought into even sharper focus when you realise that the next-bestselling car - the Volkswagen Golf - sold 20,000 fewer units in the same period. 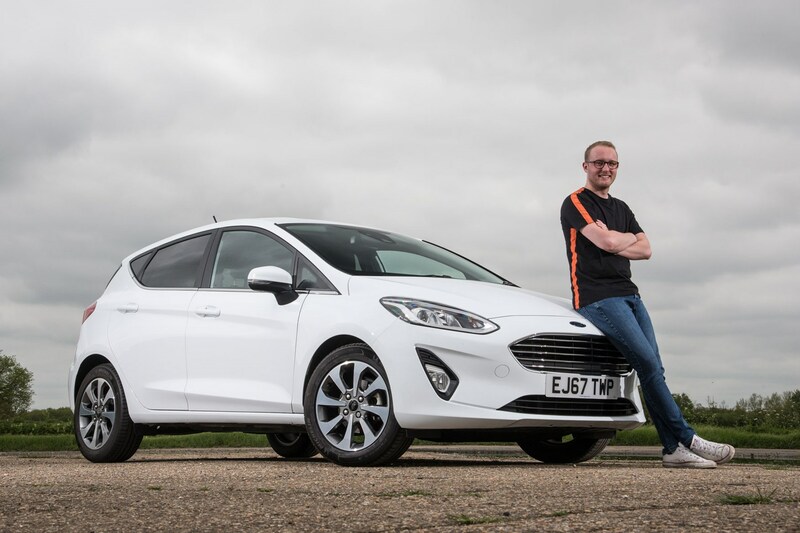 The Fiesta is as popular with first-time drivers as it is with young couples and retirees, so Ford’s obviously done something right for it to become such a hit over its 32-year lifespan. We’re spending three months in the latest version to see what makes it draw customers in, time and time again. Which Ford Fiesta model is best? Do Ford Fiestas have Isofix? Are Ford Fiestas good cars? How much is a new Ford Fiesta, and how much is it second hand? What’s the spec, it looks like a Ford Fiesta ST? Our Fiesta comes in mid-range Titanium spec, powered by a 125hp version of the firm’s excellent 1.0-litre EcoBoost three-cylinder petrol engine. 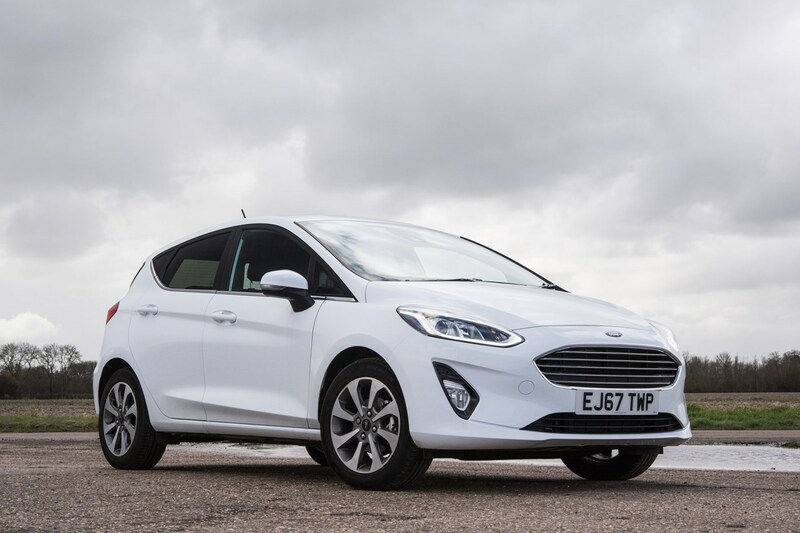 It’s a little higher-spec than the UK’s favourite combination, which is the Fiesta Zetec powered by the 100hp version of the same 1.0 EcoBoost engine. If you’re interested in more numbers, our 125hp EcoBoost engine produces 170Nm of torque, and will complete the 0-62mph time in 9.9 seconds. Should you find yourself on the German autobahn, the Fiesta will find its way up to 121mph. In terms of running costs, Ford claims the Fiesta will return up to 65.7mpg on the combined cycle, while CO2 emissions are pleasingly low at 98g/km, meaning tax won't be too expensive. 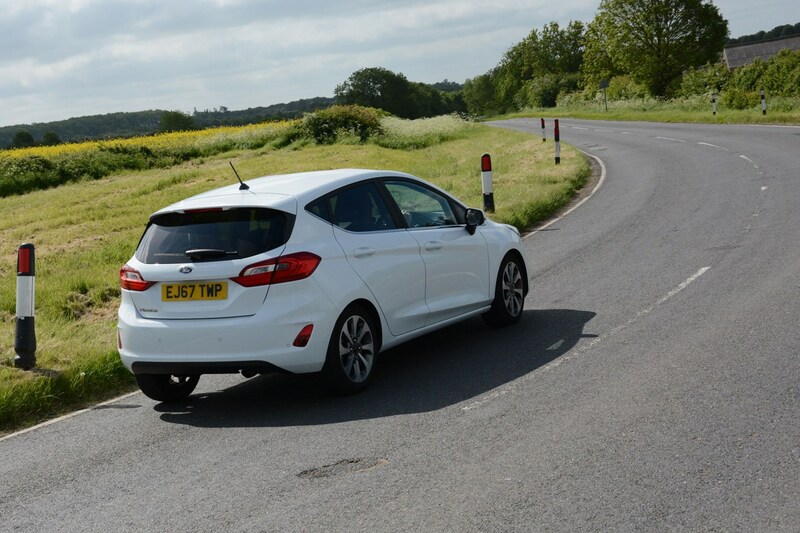 As the Fiesta is such a popular car, it needs to be an excellent all-rounder, so I aim to spend as much time as I can getting under its skin to see just how easy it is to get on with on a day-to-day basis. Is it nippy and manoeuvrable enough in town? Can it undertake a long journey without being tiring? Is it spacious enough and is it really the best drive in the supermini class? The signs are good for the latter - it's already encouraging me to take the fun route to the office. 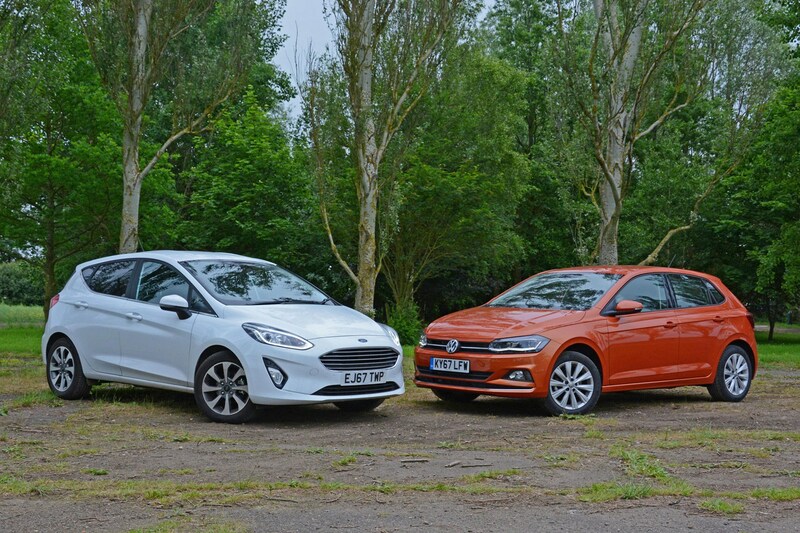 I’ll aim to answer all these questions over the next three months, and I’ll also be pitting it against its toughest rival – the Volkswagen Polo – to see how the two stack up against each other. *Price correct at the time of car's registration. If buying a new car, the list price before options has increased to £18,295. 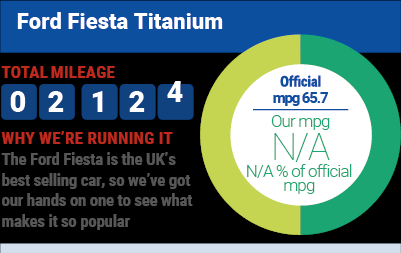 How does the Fiesta stack up if purchasing on finance? With the majority of new car buyers choosing to finance their new motors rather than part with a big wad of cash, having attractive monthly payments is key to scoring sales. And as the Fiesta is such a popular car, Ford needs to ensure its bestseller is an on-paper hit for cost-conscious customers. Is it as affordable as you’d hope? We’ve lined up some of its rivals to see if it’s one to aim for, or one to avoid. How much does a Ford Fiesta cost on finance? Go for a standard Fiesta 1.0-litre Ecoboost 125 in Titanium spec, and you can expect to pay £268 per month, over three years with a £2,000 deposit and with a 9,000-mile per-year limit. 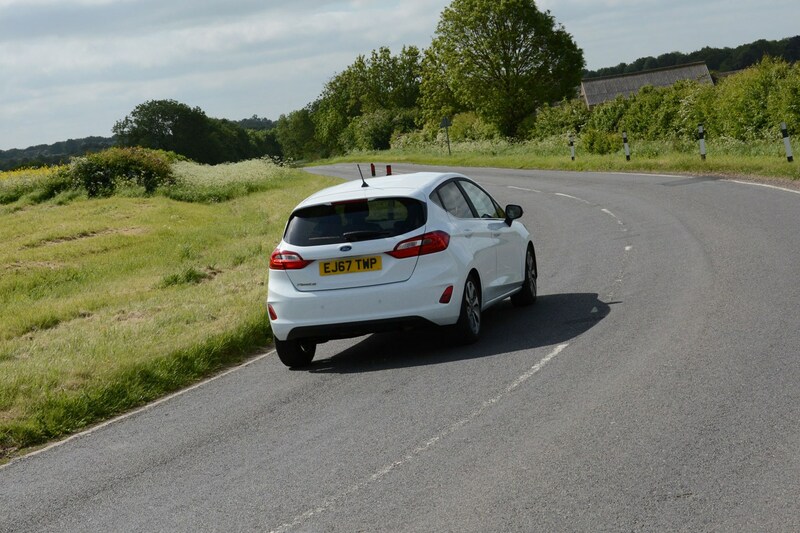 Our particular car has a few extras fitted, as we outlined in Update 1 of this long-term test. What about the Fiesta’s rivals? There’s a huge number of supermini rivals for the Fiesta, some which absolute trounce it for value for money on PCP, and others that do quite the opposite. We’ve picked as comparable models as possible with regards to spec and performance, with matching finance contract terms. 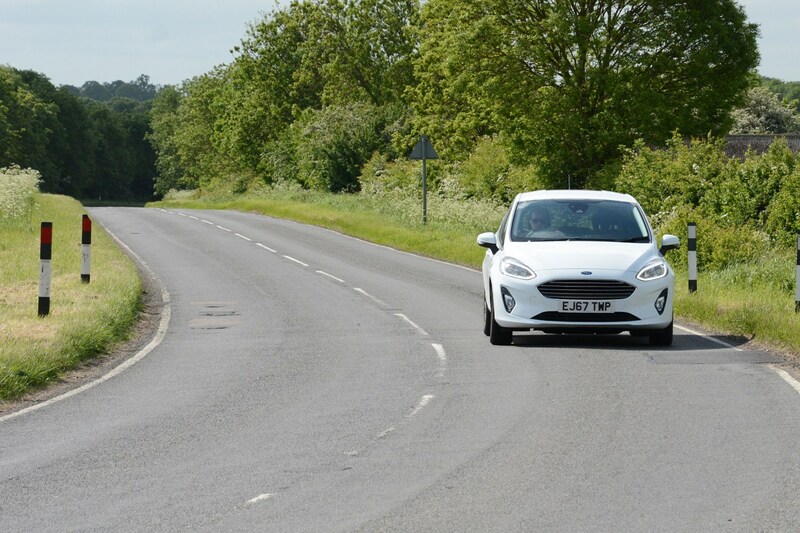 What we can take from the table above is that the Fiesta sits in the middle of the road when it comes to finance, and that’s largely because of its high list price compared with some of its rivals, as well as a lack of deposit contribution from Ford, despite the low APR. The Mazda 2, however, represents fantastic value, with a generous standard kit list in this top-spec trim, a fun drive and quality interior. The SEAT Ibiza is also good value in Xcellence spec, with the Spanish company adding an extra £1,000 to the deposit until the end of May 2018, and that’s on top of the standard £1,500 deposit contribution discount. However, you’ll get a less powerful engine in this trim. If you want more performance, you’ll need an FR which comes with less kit, hence the lower price than the Xcellence. 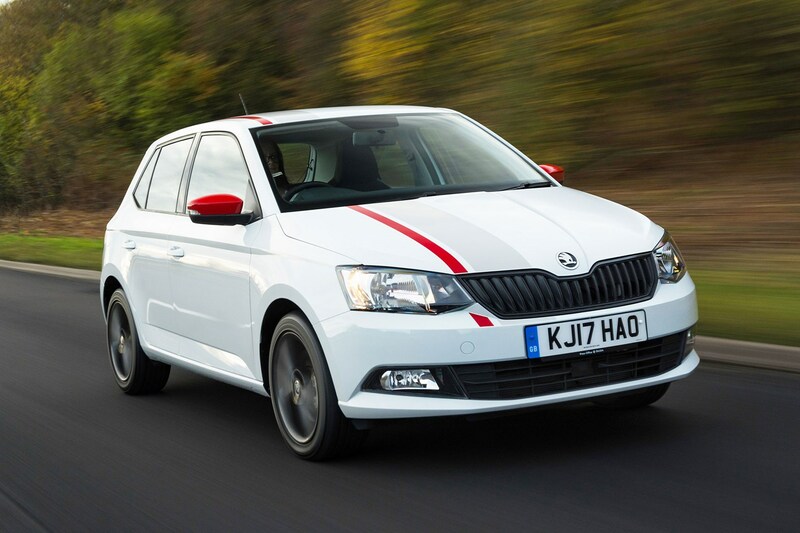 The Ibiza’s Czech cousin – the Skoda Fabia – is also good value, blending decent performance and a healthy kit roster in plush SE L trim, while the more expensive Volkswagen Polo in SEL spec is reasonable value for a car with greater desirability than the others. 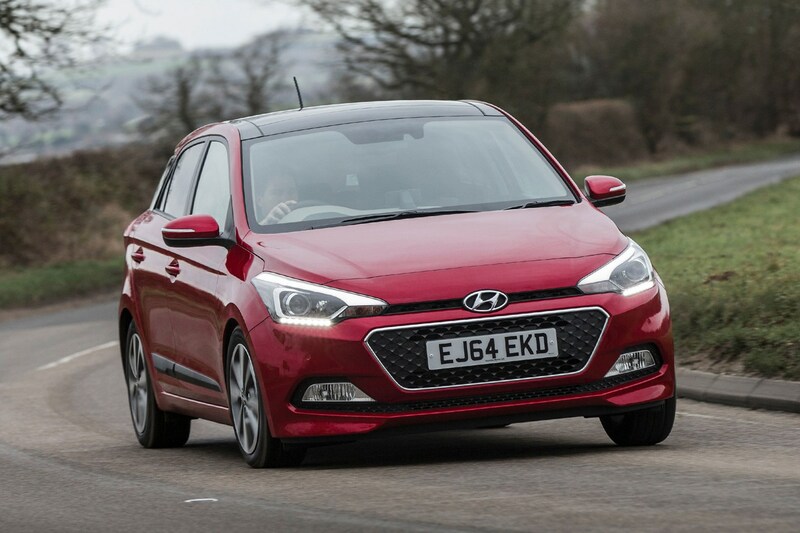 Despite the Hyundai i20’s higher monthly payments, it’s similar value to the Fiesta because Premium SE Nav trim comes with a little more equipment than our Fiesta. 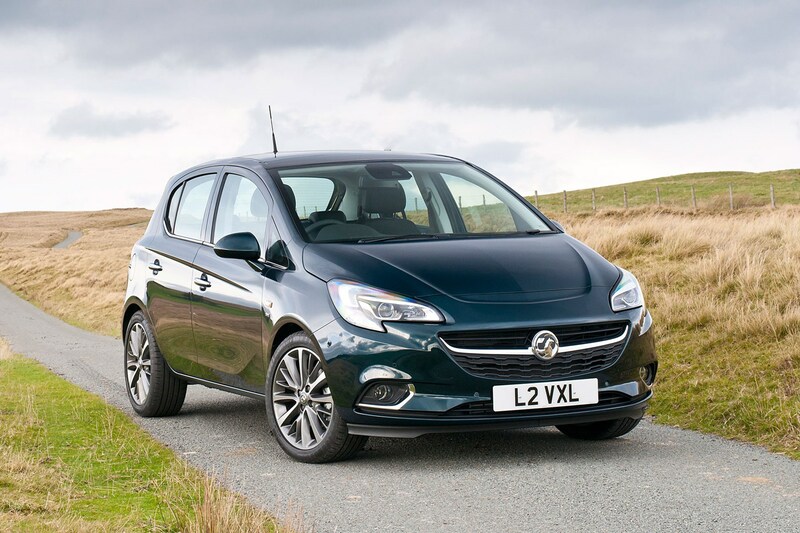 On the other hand, the two Vauxhall Corsa models are at the other end of the scale – making very little sense whatsoever. Not only do both examples cost the most every month (some Corsas are better on finance), the but it’s also the oldest of the lot. 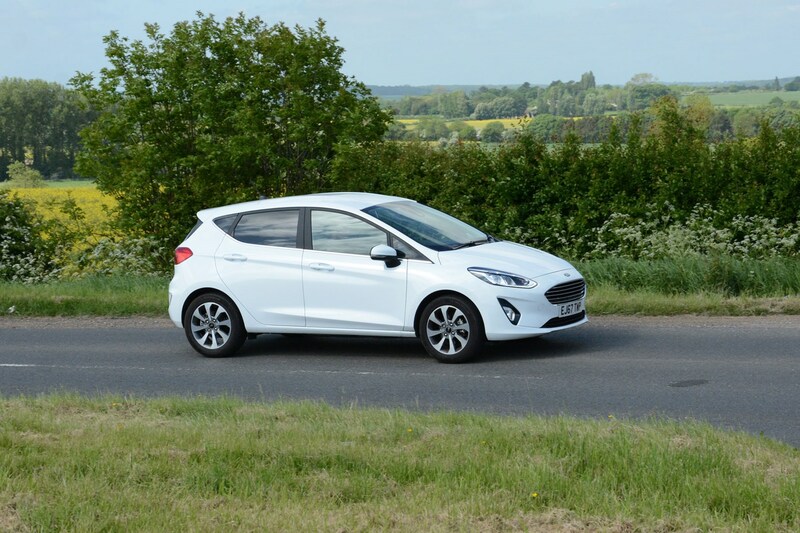 If you don’t want or need the extra equipment of our particular Fiesta, it sits in the middle ground when it comes to value for money if purchasing on PCP. It’s difficult to ignore the Mazda 2, SEAT Ibiza and Skoda Fabia, though. The SEAT runs the Fiesta close as a good-to-drive supermini, but feels more grown up and has a sharper look for less money, while the Skoda is where you should spend your money if the Ibiza is just a little too design-heavy. Then there’s the Mazda. 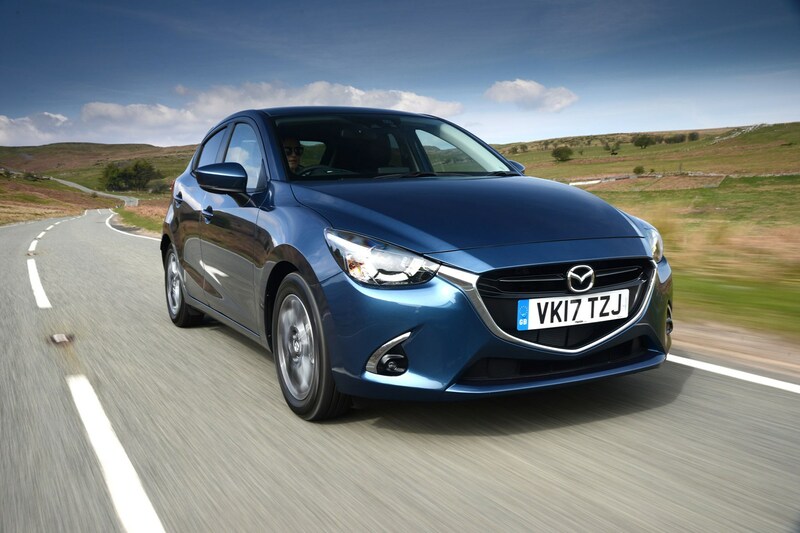 Too often overlooked as an accomplished supermini (we really rated our long-term Mazda 2), it looks good, offers heaps of standard equipment and drives almost as well as the Fiesta and Ibiza. The icing on the cake is that it feels different and interesting, and you still get great value by going for a top-spec GT Sport Nav+ example, so you don’t really lose out. What's the Ford Fiesta like to drive? 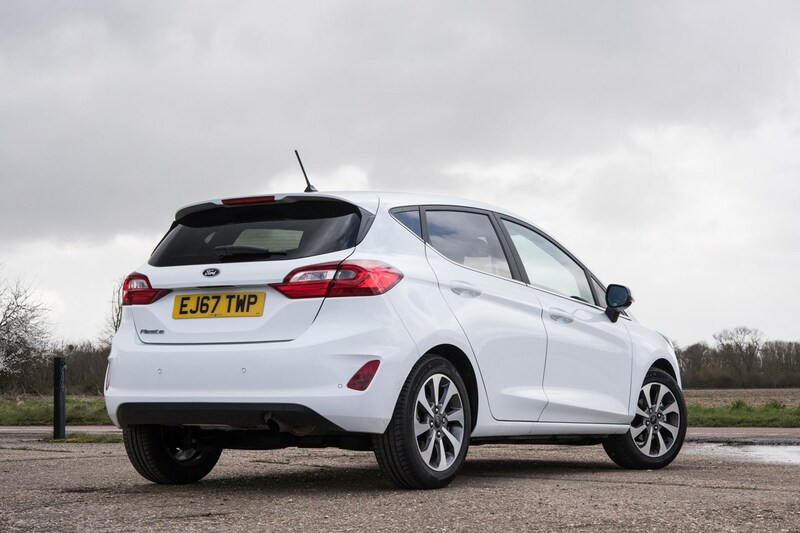 Last time, we saw the Fiesta’s finance credentials are okay, if not especially impressive compared with some of its closest rivals. This week, it’s all things driving, and the Fiesta paints a very different picture altogether. It’s gone from middle-of-the-road for value, and straight to the top of the class for the way it drives. Why is it so impressive? 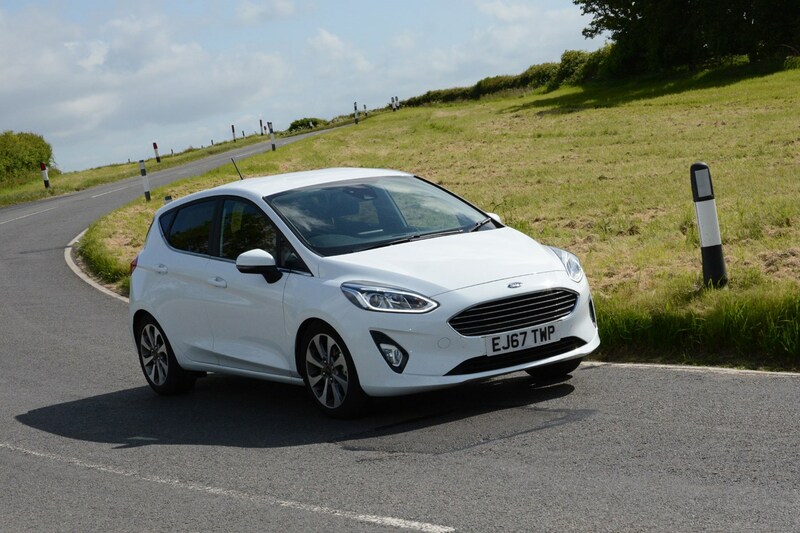 For the Parkers New Car Awards 2018, the Fiesta dazzled with its enjoyable drive, but couldn’t top the SEAT Ibiza for overall value and appeal, just losing out on claiming the Best First Car award. The Fiesta has long been thought of as the best supermini to drive, though, and this latest incarnation continues that tradition. Let’s start with the performance of the 125hp 1.0-litre Ecoboost engine. It’s not the fastest powerplant available in the regular Fiesta line-up (that goes to the 140hp version), but the 125hp unit doesn’t feel far off the pace. It’s eager to get going and comes complete with a three-cylinder growl from under the bonnet, completing the 0-62mph benchmark sprint in 9.9 seconds as you work your way through the ratios of the slick six-speed manual gearbox. 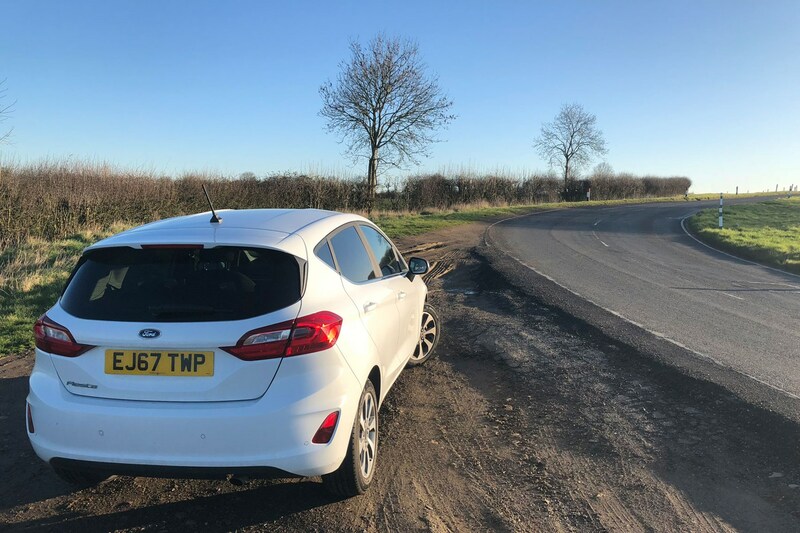 We’ve found that if you do make any enthusiastic getaways to get up to speed with fast-moving traffic, the Fiesta could do with a bit more urgency. It’s easy to make some less-than-smooth gearchanges – especially going between first and second gears – and the 170Nm of torque on tap means you’ll have to plan some overtaking manoeuvres and drop down a couple of gears. It keeps up with motorway traffic easily, though, and there are zero complaints nipping about town and on dual carriageways. There is quite a bit of vibration making its way into the cabin (mainly via the pedals) thanks to that three-cylinder engine though. It’s not a huge issue, but a couple of members of the Parkers team have commented on it. In the next couple of weeks I’ll be piling on some serious mileage for various new car launches and a holiday in the West Country, so I’m looking forward to seeing how the Fiesta copes with a 200-mile stint on the motorway as well as tight and twisty Devon country lanes. 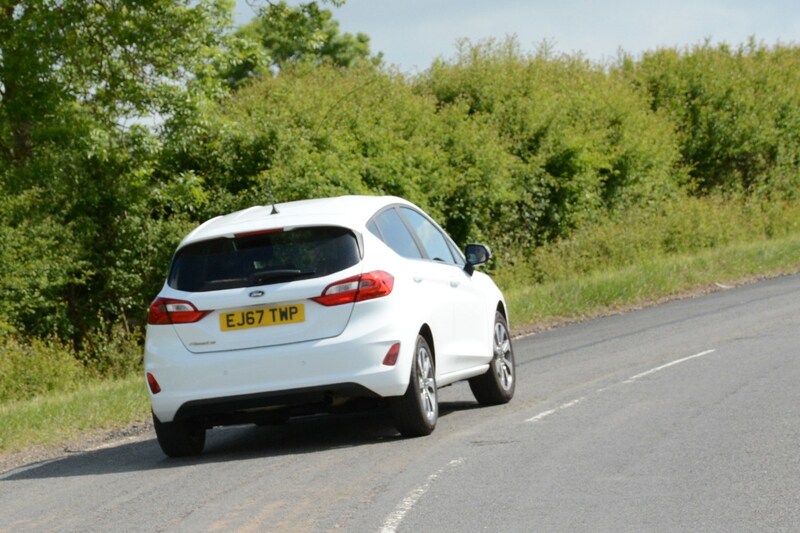 I’m expecting that trip will highlight the Fiesta’s fantastic chassis even more than regular roads have done already. 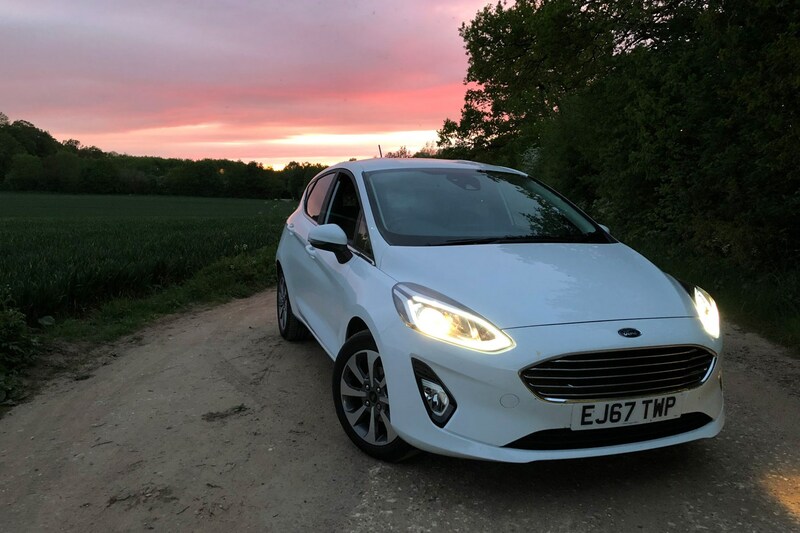 In short, driving the Fiesta away from main roads on country lanes is a real treat, and I continue to take it out in the evenings just because I want to, which says a lot about a car for a petrolhead. And it’s even more impressive that we’re talking about something that you’ll find on pretty much every street in the UK, and isn’t a £100,000 supercar. The steering is pin-sharp, communicating to the driver exactly what’s going on at the front end of the car, and it only requires very small inputs to tuck the car into a corner. It helps that the steering wheel itself is especially tactile with a squidgy feel akin to the kind you’ll find in a BMW. Ordinarily, a sporty drive means there’s a comfort compromise. But with the Fiesta, it would appear you can have your cake and eat it. 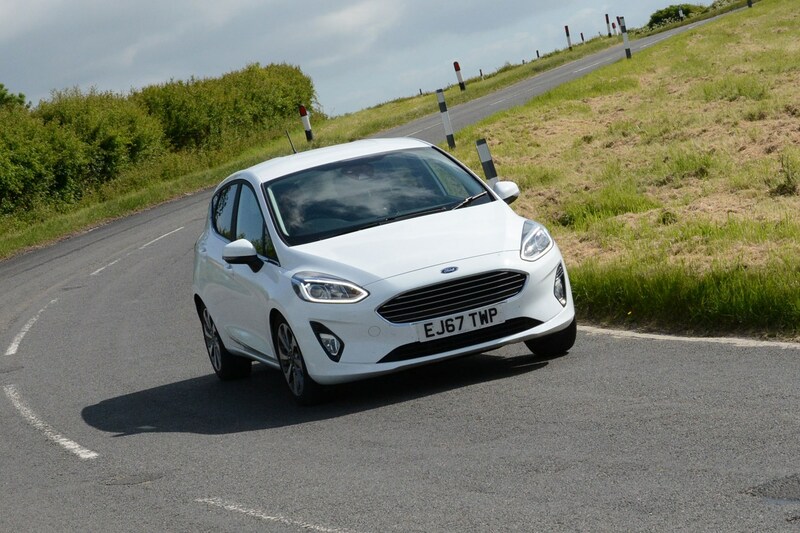 The suspension is almost perfectly set-up so that it deals with speed bumps and some genuinely awful road surfaces very well indeed, but it’s firm enough that it helps the Fiesta feel controlled on twistier roads. It also helps that the wheels aren’t unnecessarily large at 16 inches in diameter, but even on ST-Line models we’ve tried with larger rims, the Fiesta still controls itself remarkably well. There’s a bit of body roll present, but no more than any of its competitors. Is there anything not to like about the driving experience? 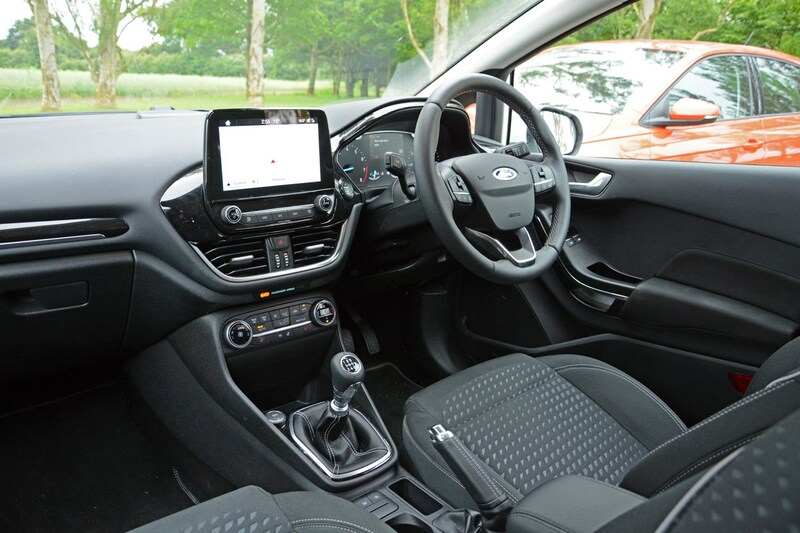 There are one or two issues I’ve come across with the way the Fiesta drives, but it largely comes down to aspects of the interior that change how it feels, rather than the way the car actually performs or handles. My main issue is with the seats. When you jump into the driver’s chair, it immediately feels nicely supportive with really tactile materials. Spend a little time behind the wheel, though, and the seat base feels very short (and I’m not even especially tall), with little support for your thighs. I’ve found that, on turning into a right-hand bend, my left knee is left pinned against the centre console trying to hold myself in place because the seat base is too short to properly support my leg. Not a huge issue – and maybe I should stop throwing the car about – but the fun drive encourages me to do so where the road allows! I’m having some trouble with the lumbar support too – it just digs into my lower back too much, and that’s even when it’s at its most forgiving position. Finally, the dashboard feels massive in comparison to the rest of the car and, in combination with the rather high seating position, takes away from the fun just a little bit. It's an improvement on the previous Fiesta, but I still prefer the lower-set position of the SEAT Ibiza. 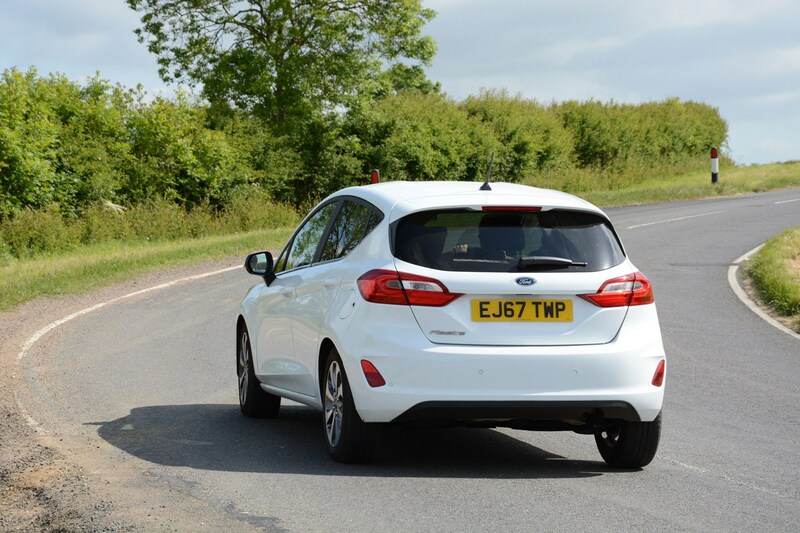 Combine the driving position of the SEAT and the fun drive of the Fiesta and you’d be onto a real winner, which is what we discovered in our Fiesta vs Ibiza twin-test review. 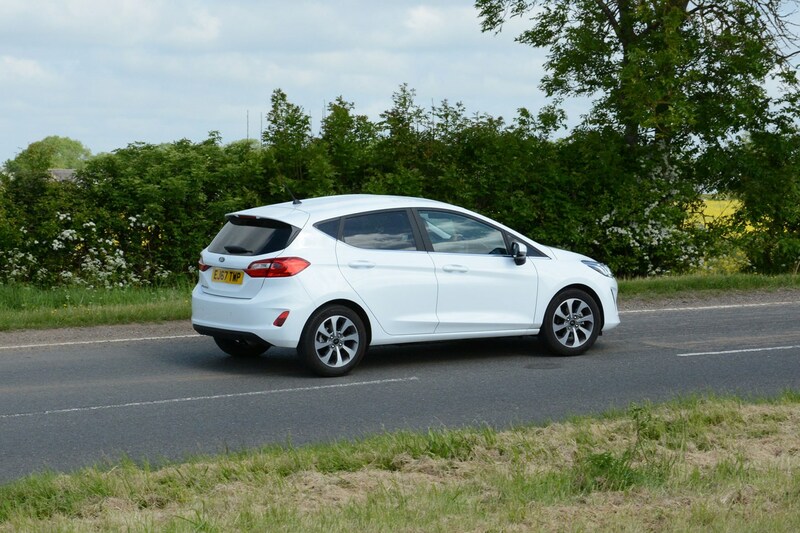 Is the Fiesta a practical option? As Britain’s favourite car, the Fiesta needs to be good at many things. We’ve already seen that, in Titanium spec, it’s well-equipped, and in any guise, it’s fantastic fun to drive. But does it have the edge over its rivals when it comes to putting people and stuff in it? Lift the tailgate and you’re met with what looks like a well-shaped, square boot that’s easy to lift stuff in and out of. Job done, right? Wrong. The Fiesta’s boot offers up 292 litres of space, which may sound a decent amount until you realise that almost all of its rivals can carry more. The SEAT Ibiza serves up 350 litres, while the Volkswagen Polo’s weighs in at 355 litres. 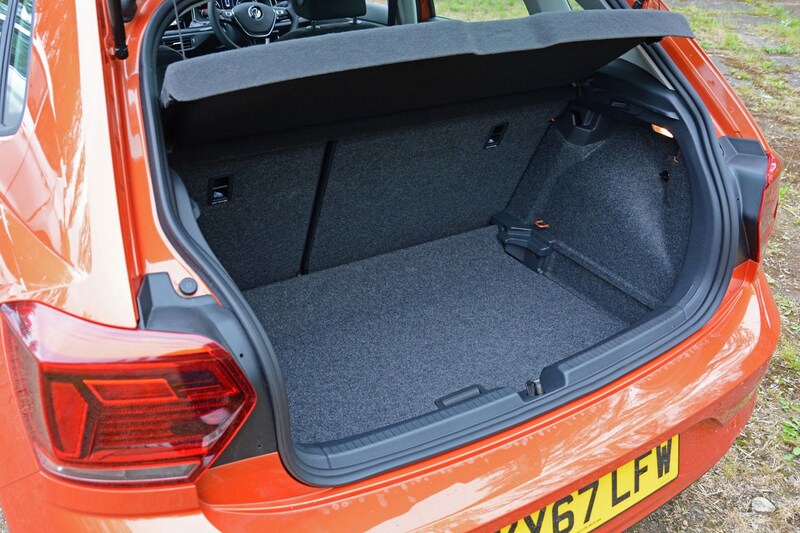 The list goes on; the Kia Rio’s boot has 325 litres of space, the Renault Clio 300 litres, 330 litres for the Skoda Fabia and 300 litres from the Citroen C3. You get the point. Only the Vauxhall Corsa (285 litres) and the Mazda 2 (280 litres) trail the Fiesta. In reality, the difference this makes isn’t as significant as it might appear, as the Fiesta’s load area is well-shaped and it’s easy to lug things over the loading lip. Expanding the total load space is easy by folding the rear seats, although you’ll be contending with a step in the floor as the rear seats don’t fold flat. This isn’t for you if you’re a car boot sale fanatic. Move to the back seats and it’s a bit of a mixed bag. If you’re a long-legged passenger, forget it. But that’s the case in pretty much every supermini besides the Honda Jazz. It’s rare that the rear seats of any of ‘my’ cars are occupied unless I’m visiting family in Devon, so it’s not a great hardship that the Fiesta’s rear bench doesn’t offer quite as much space as something like the SEAT Ibiza or VW Polo. It’s not horrendous, but I was surprised to discover that the amount of legroom behind me, the driver, isn’t as good as expected. The main reason it surprises me is because I’m not an especially tall person at 5ft10 and legroom is rarely an issue behind me in other cars, but it seems rather limited in the Ford. The good news is that headroom in the back is good, and you’re unlikely to be too uncomfortable. In reality, is a 6ft-something hulk of a human going to be shoehorned into the back of a Fiesta for a long journey? I don’t think so. There will be no complaints in the two front seats of the Fiesta, however. There’s plenty of legroom for both the driver and the passenger, but my grumblings about how high you sit remain, and it’s likely to be an even more pronounced problem for someone taller than I. At least you can adjust the seat height on the driver’s side (but not low enough, in my opinion), whereas you’ll have to make do with the fixed height of the passenger seat. You can opt for height adjustment for the passenger side, but it’s an unlikely option box that’ll be ticked by many buyers. Storage space is good, if not especially class leading. 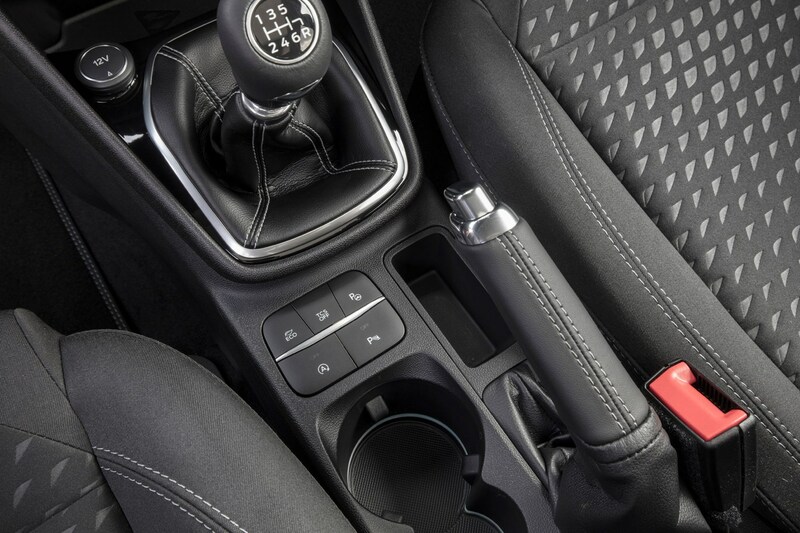 There are two cupholders next to the handbrake, which, if occupied by an unnamed coffee chain cup, you will brush your hand against when operating the handbrake, while a useful cubby ahead of the gearlever is a prime location for lobbing your phone and any other bits and bobs into. Its shape means a large smartphone won’t fit neatly, though, but you don’t have much option as the USB port is located here, which is essential for making a connection with your smartphone. The door bins are probably the most disappointing though. There isn’t quite enough space for a large, girthy bottle of water (which also won’t fit in the cupholders), while the shallower part along the bottom of the door will fit no more than a glasses case and maybe a chocolate bar (essentials for a journey, in my opinion). 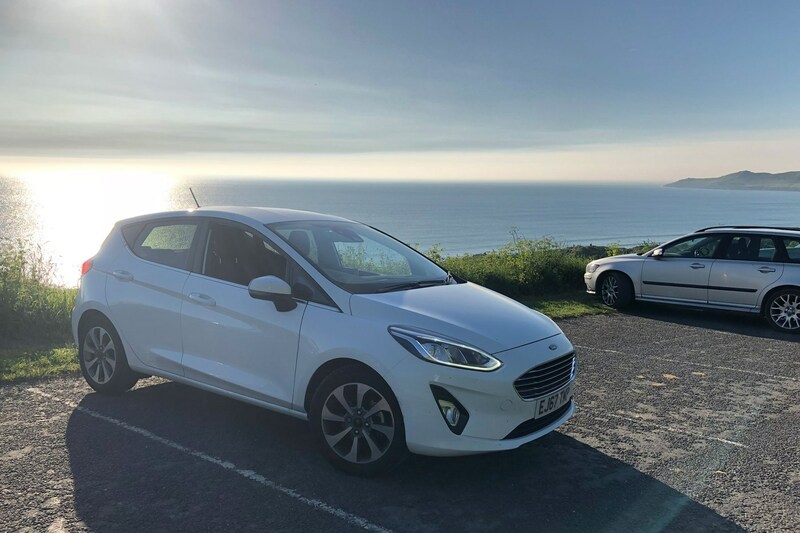 Since the previous update, I’ve taken the Fiesta down to the West Country and tested its long-distance credentials; it excelled on the tight and twisty lanes of coastal North Devon, and its compact dimensions made it a dream in tight car parks. Plus, it made light work of the 200-mile motorway stint to get there in the first place. 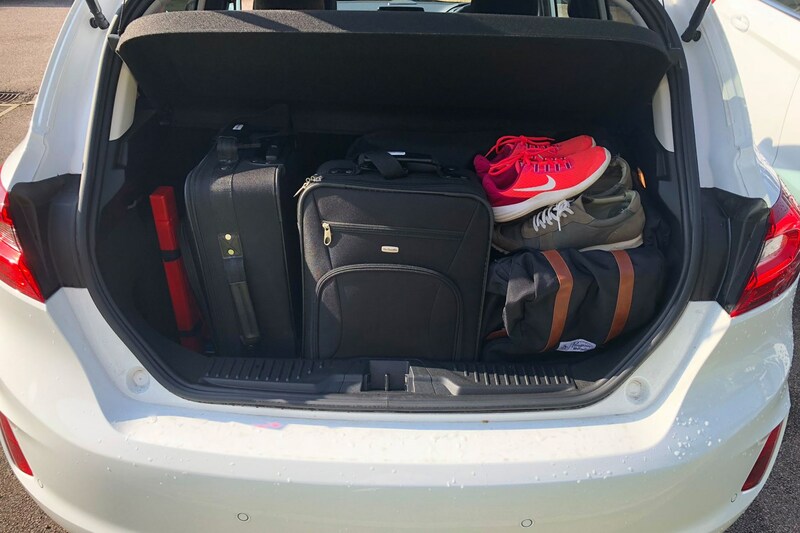 In the process, I’ve piled on almost 1,000 extra miles to the Fiesta’s trip computer in just a couple of weeks, and the car has really got under my skin. It just does a lot of things very well. The trip also gave me the opportunity to actually put some people in the back of the car (a rare thing), and solidified my argument that anyone especially tall won’t want to be in the back for too long. Still, the 125hp EcoBoost engine performed admirably up hills and remained remarkably refined when it had to be worked hard to maintain momentum. All impressive stuff. But how does it compare with one of its fiercest – and newest – rivals? Meet the Volkswagen Polo. If the Fiesta is the fun-loving, excitable puppy of the supermini class, the Polo is the straight-laced and wise old Labrador. Or something like that. 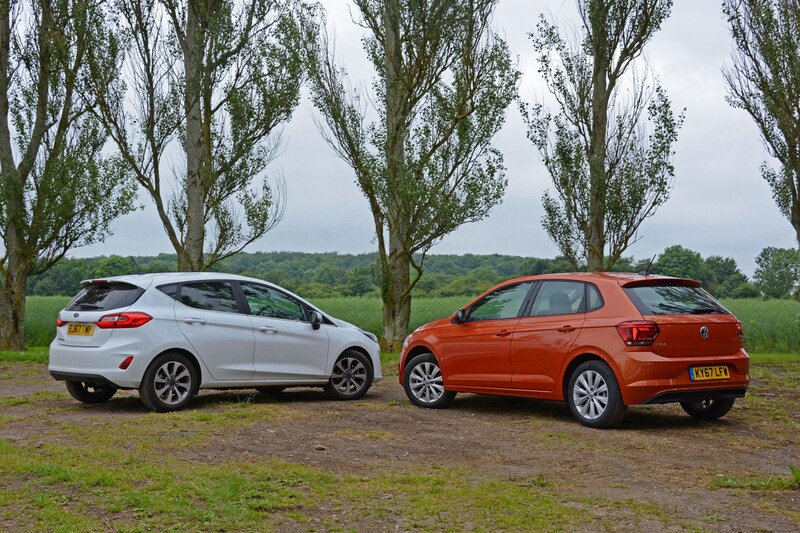 Side by side, the Fiesta is the sharper looker of the two, even if the Polo we’ve got here is orange. The VW looks more interesting than its predecessor, but the Fiesta has much tauter lines and a more athletic stance. Look along the flanks of the Ford and there’s a surprising amount of sculptural lines running down the side. Bear in mind these two cars are mid-range models too. This test car has a few options added to the kit list, including adaptive cruise control, a winter pack which adds heated seats and heated washer jets and headlight washers, full LED headlights, wireless smartphone charger and PreCrash preventive occupant protection. All of this kit takes the Polo up to £22,455 from £18,735 (for the DSG-equipped VW tested here). So the Polo has more equipment for a bit more money than the Fiesta (and you can add much more from the options list compared with the Ford), but our car isn’t exactly crying out for any of the little extras the Polo comes with, so we think the Fiesta represents better value here. 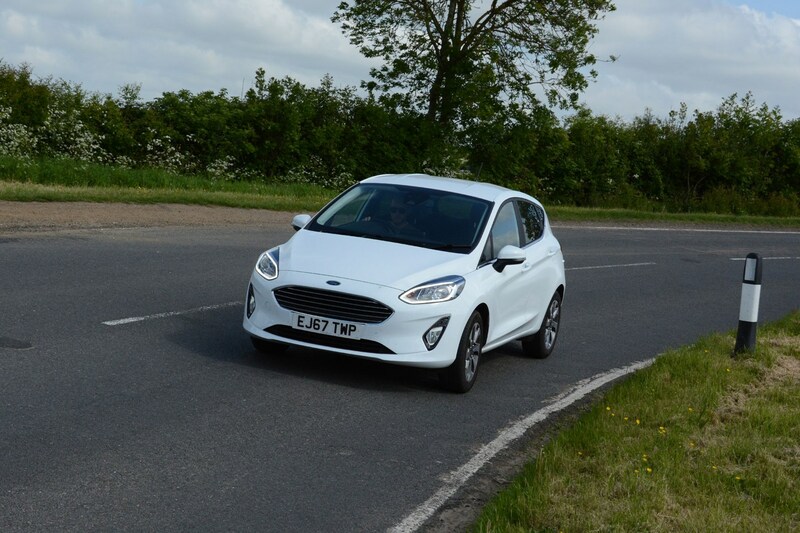 The Fiesta remains the most enjoyable supermini on tight and twisty roads, with our nippy EcoBoost version providing enough shove for most situations. 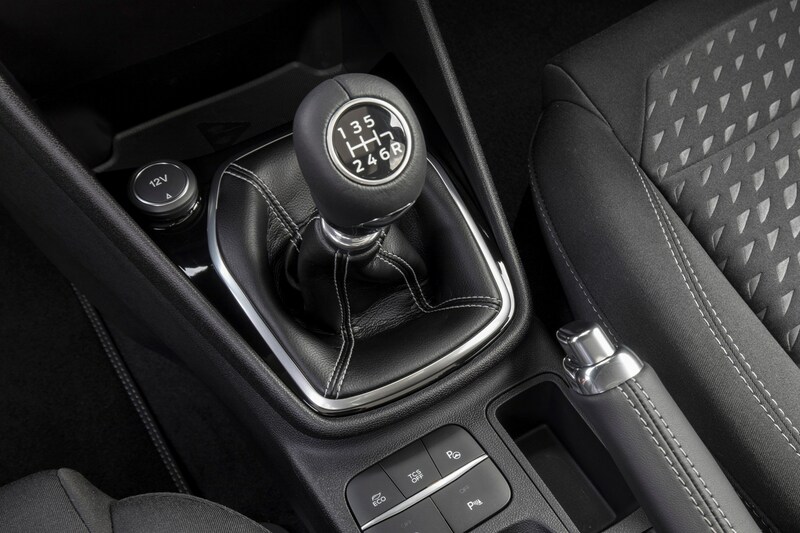 The Polo tested here is a 1.0-litre TSI with 115hp mated to a DSG automatic gearbox, whereas our Fiesta comes with a slick-shifting six-speed manual. You’d think the Polo might struggle to keep up, but the DSG gearbox works its way through the gears without the driver really noticing – there’s no jerkiness and the 115hp engine feels more eager to get going than the Fiesta, despite the 10hp deficit. On uneven roads, the Polo demonstrated that its softer set-up makes for a much less fidgety experience than in the Fiesta. It irons out lumps and bumps much more effectively whereas the Fiesta can feel a little unsettled. However, this cushier suspension and lack of steering feel makes you feel more detached from the action in the Polo, whereas the pin sharp responses of the Fiesta make you feel much more involved. Picking a winner here is more difficult than expected. If you want to have fun on a country lane, the Fiesta is best. But the Polo feels very grown up and will be much more relaxing over longer distances (its seats are also more supportive). The two cars excel in different areas, almost cancelling each other out. Which has the better interior? Volkswagen has long been lauded as the creator of fine interiors, but I found jumping behind the wheel of the latest Polo a little disappointing. I owned a previous-generation 64-reg Polo and I actually think the interior quality of that car trumps the new one. 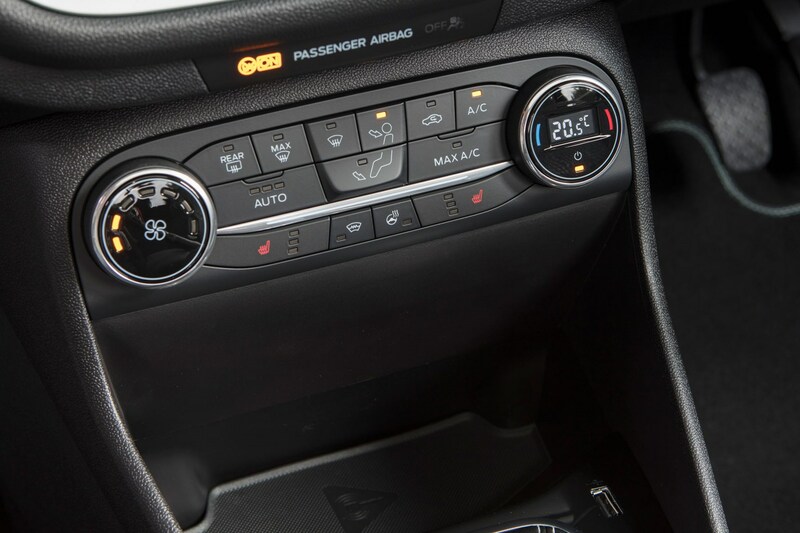 There are soft-touch plastics on top of the dash, and the touchscreen is larger, brighter and slicker, but materials elsewhere feel of a lesser quality than the old car. Compared with the Fiesta, it’s also just less interesting to look at. 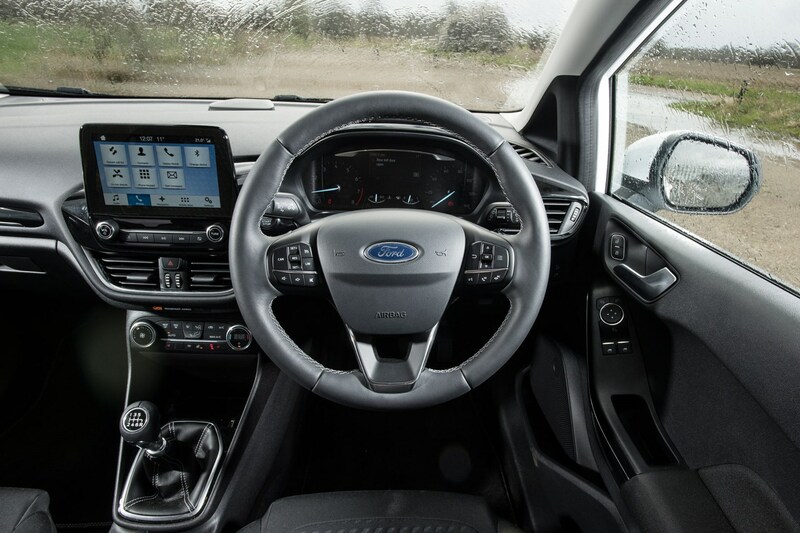 There’s no denying the solid feel and the fact there’s a lot more storage space to make use of (and more passenger space), but the Ford feels more modern inside. The win here has to go to the Fiesta, purely because it’s capable of putting a smile on your face no matter the road type. 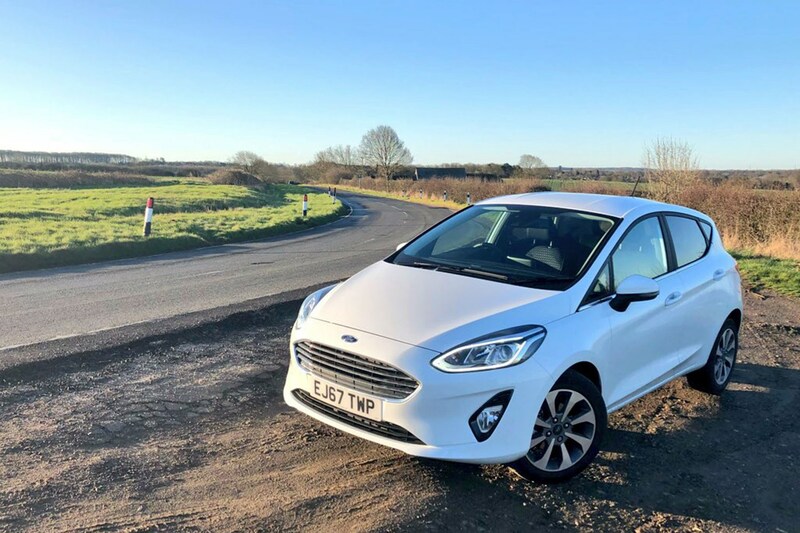 While many supermini drivers won’t care as much about how enjoyable it is to drive, to this young driver, the whole feel of the Fiesta is more appealing than the Polo, especially as this latest VW feels a bit too 'sensible shoes'. Perhaps it would be a different story if the Polo was in R-Line spec (I’ll be the first to admit that kerb appeal is important to me), and with the 115hp TSI engine under the bonnet with a manual gearbox, it’ll be more involving. Then if I wanted this spec, I’d probably go for the cheaper and sharper-looking SEAT Ibiza like the one we ran previously. For this duo, I’m happy with the fun Fiesta. The Fiesta’s economy has been improving lately, too. While it’s been gradually going up since we took delivery of the car, individual tanks have been varying greatly, with the last tank peaking at 48.9mpg. I’m rather impressed. 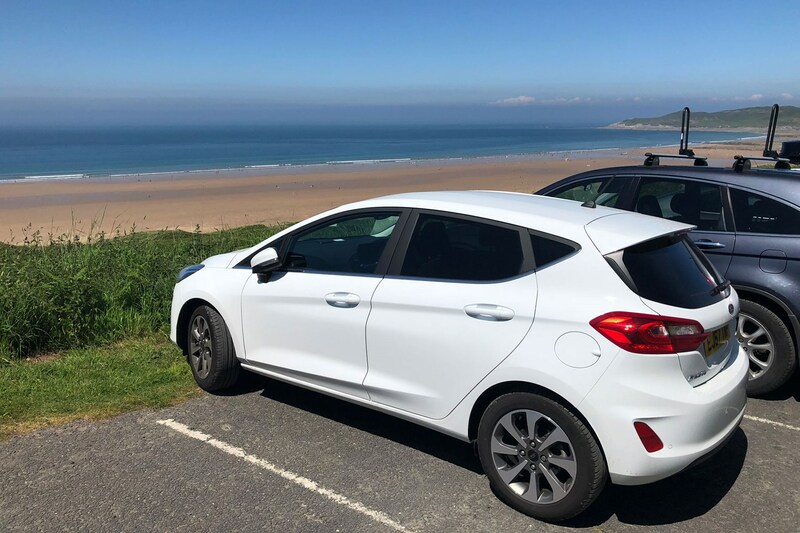 Three months behind the wheel of the Fiesta appear to have flown by, but in that time I feel like I’ve learned a lot about the UK’s bestselling car, and I also understand why it’s so popular with buyers. In short, it’s done its job as part of the Parkers long-term fleet. In all, I’ve covered just shy of 4,000 miles in three months (3,956 to be precise) with the little Ford, using 392.32 litres of unleaded at a total cost of £495.64. 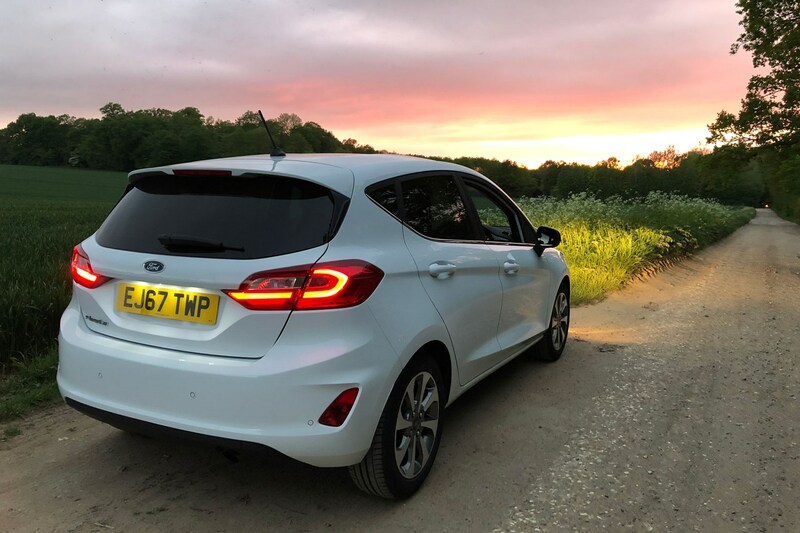 I’ve failed to hit the Fiesta’s claimed fuel economy figure of 65.7mpg, but I haven’t really tried – largely because I’ve been having too much fun taking advantage of the way it drives. But more on that in a minute. 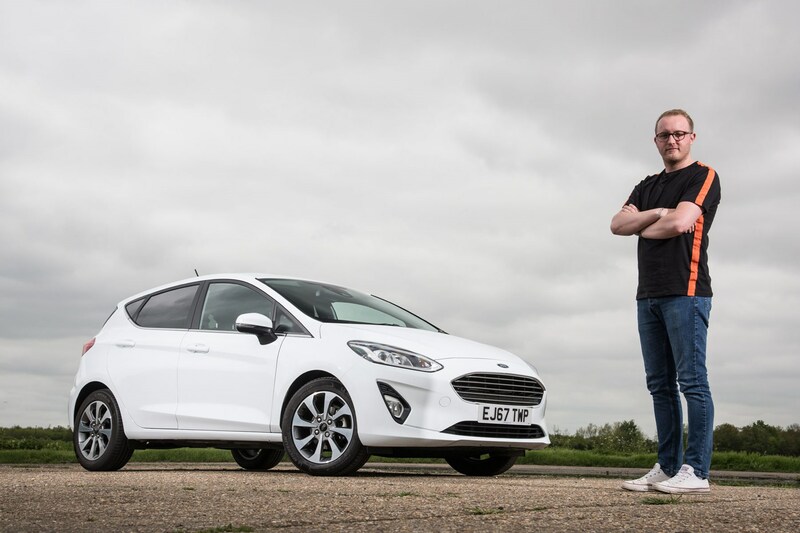 Overall, the Fiesta’s economy has improved in my time with the car, with an average across the three-month period of 45.8mpg. I don’t think that’s too bad considering various members of the team have jumped behind the wheel and driven it more or less enthusiastically than others. That’s compounded by the great variety of fuel economy returns on different tanks of fuel. 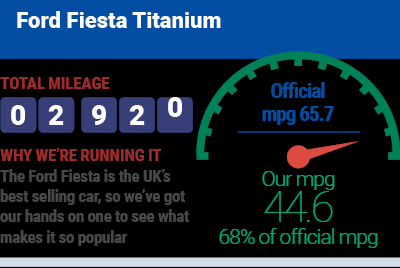 The Fiesta’s fuel economy peaked at 51.1mpg on one occasion, while in the hands of another member of the team it returned 31.2mpg. That took some doing considering the next-worst tank was 39.7mpg. Still, throughout the three months, overall economy has ranged between 42.5mpg and 45.8mpg, remaining nicely consistent at the very least. What are the best bits about the Fiesta? Easily the way it drives. 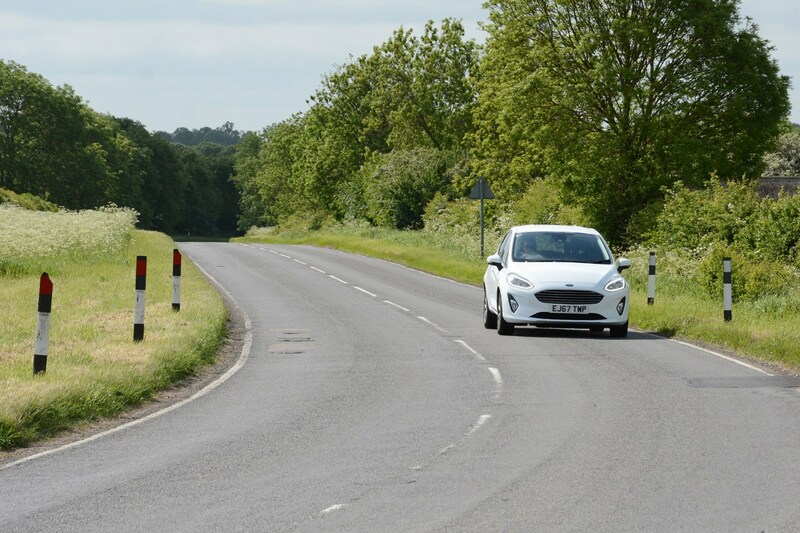 It may well be the most common sight on UK roads, but the Fiesta is such a great laugh on a twisty road that it can’t not put a smile on your face. The steering is pin sharp and the eager little three-cylinder engine eggs you on to have a bit more fun. However, because you have to work the motor hard in some situations, it’s even rewarding at lower speeds, so there’s little risk of gaining a few points on your licence. And the best part is that when you don’t feel like driving like this, the Fiesta is a mature, refined car at speed. Motorway journeys are no issue whatsoever, and the ride on the Titanium's 16-inch alloys has been particularly impressive. The interior is user friendly, and the 8.0-inch touchscreen is really bright, crisp and clear and well placed on the dashboard. Connections made via Apple CarPlay have always been quick, while it’s easy to get comfortable behind the wheel. What’s frustrated about the Fiesta? It’s not all been perfect, though. I’ve struggled with the lack of support offered by the seats. When you first slip into the driver’s seat, it feels like there’s a good amount of support and the padding makes it feel very comfortable. 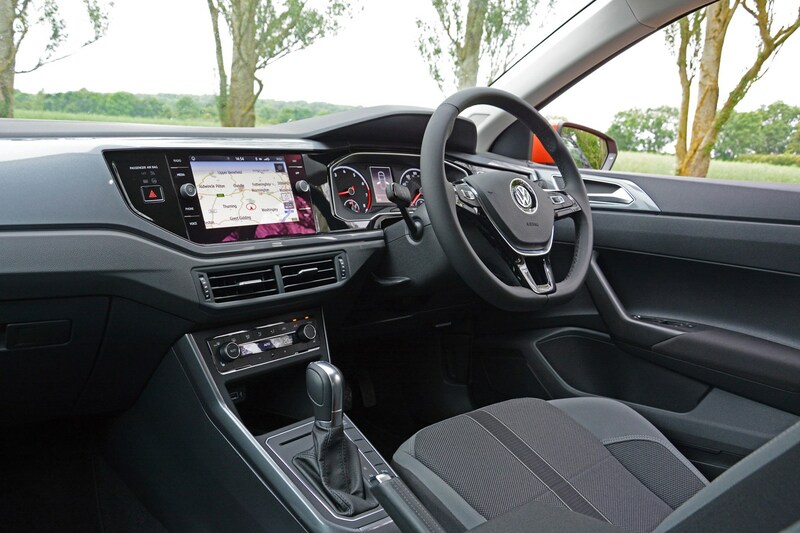 However, spend a bit more time behind the wheel and you might find the seat base isn’t quite long enough to fully support your legs (even more obvious when you corner with vigour and have to prop yourself up against the door or centre console with your knee). The lumbar support still digs in to your lower back even in its most forgiving setting, too. 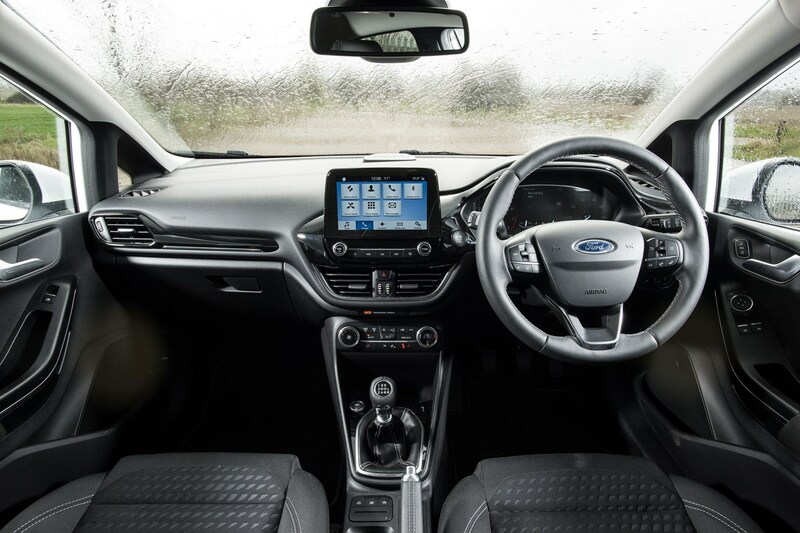 When you come to put people in the back of the Fiesta, you won’t want to be a tall passenger behind a tall driver if you value comfort, and the omission of electric windows in the rear feels a little stingy. 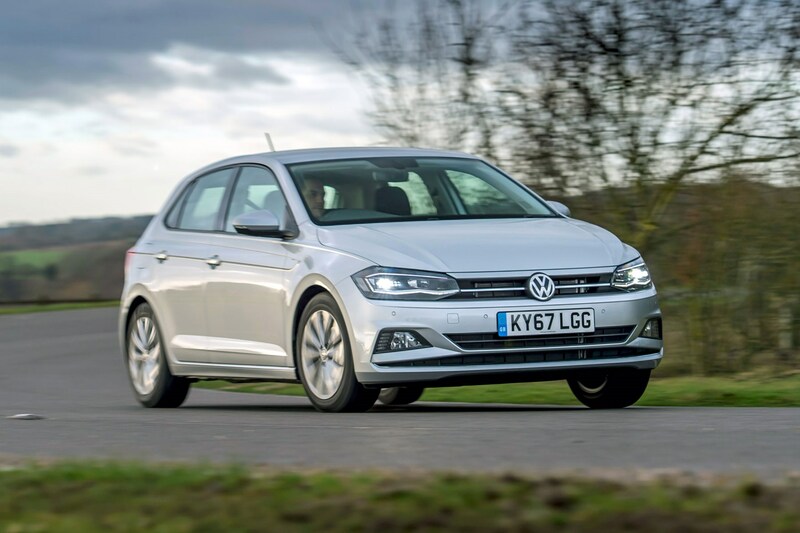 Finally, those darty responses from the steering may be rewarding on a tight and twisty road, but it doesn’t translate to as relaxed an experience on a long journey as something like a VW Polo or SEAT Ibiza. You get used to it, but may find yourself switching lanes more abruptly than you’d expect, at least to begin with. Is it the best supermini? The Fiesta has got under my skin more than I thought it would, especially after just a short three-month period. I love the balance between fun handling and composed ride, it has a solid, substantial feel that induces a sense of security on longer journeys, and the interior is really easy to get on with. The high driving position and lack of support in the seats are the only things that would niggle me every day if I was spending my own money on the car, but overall it’s worthy of its position at the top of the UK sales charts. 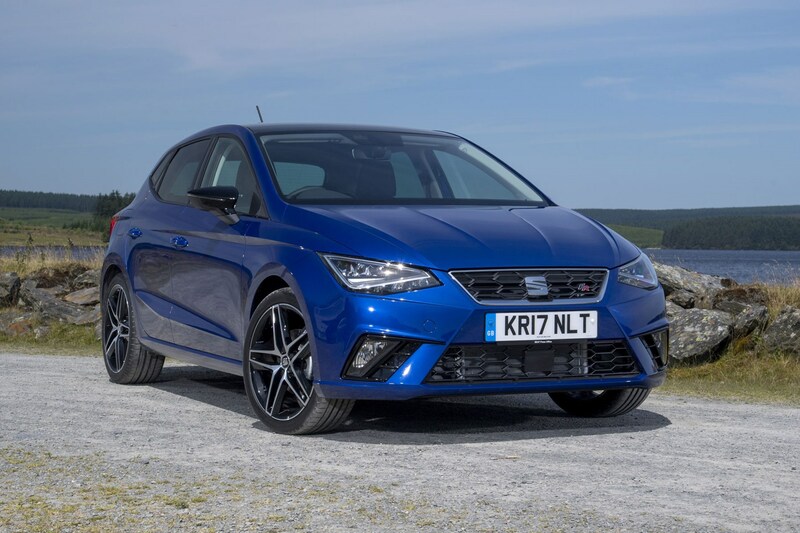 For the kind of driving I do, however, which is a lot of time spent on the motorway, I’d probably head for the SEAT dealer for the Ibiza’s more grown up motorway manners and more supportive seats. Plus, the Ibiza is better value on PCP finance.